Motorola Moto G4 and Motorola Moto G4 Plus to be unveiled at May 17th event? Motorola has sent out invitations for events that it is holding on May 17th in New Delhi and in Mexico. The Lenovo owned manufacturer is expected to introduce the Motorola Moto G4 and Motorola Moto G4 Plus. The Moto G4 is rumored to come with a 5.5-inch screen carrying a 1080 x 1920 resolution. An octa-core CPU will be under the hood. 2GB of RAM should be inside, along with 16GB of native storage. 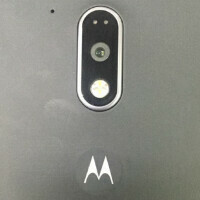 A 13MP camera will be found on the back of the handset. The Moto G4 Plus will add a fingerprint scanner that will be embedded in the home button. The rear camera on the Moto G4 Plus is bumped to 16MP. We have seen images of both the Moto G4 and Moto G4 Plus leaked. The fingerprint scanner on the latter is a square looking home button found under the front screen. Both models are said to be available in Black and White, with interchangeable back covers available in different colors. Last year, the third generation Motorola Moto G was unveiled in India during July, so there is a very good chance that speculation about the Moto G4 and Moto G4 Plus being announced on May 17th will turn out to be true. Stay tuned! If they announce that they will be running the version of android that is available the next day, I'll be impressed. White one looks good. Rather have black be the dominant color instead of gray on the other model. I doubt it will beat honor 5c. I'll get the better one of the two. With that home button it looks hidious. Thank you lenovo, expecting more such things from you. Not bad, there is much anticipation with the G range of Lenovo (Motorola). I think 5.5 inch screen is large enough, it would have been good a 5.2 inch screen. Anyway, all we want to see this new generation of the G range in action. So now that Lenovo owns Motorola, is Lenovo still making Lenovo smartphones as well? ?